Sun Peaks Ziplining tours aren't an option yet unfortunately, but it was considered several years ago and the operators of Treetop Flyers, located in nearby Chase, may look to Sun Peaks in the future as Sun Peaks summer visitor numbers continue to soar. But in the meantime, visitors to Sun Peaks Resort can easily travel to Chase for an enjoyable day trip and their fun, family-friendly ziplining adventure. There, Treetop flyers operates a cool ziplining operation, with tours flying over top of several scenic Chase waterfalls, as well as summer Full Moon 'evening' Tours during certain periods in the summer. The views are beautiful and include the chance of seeing some local wildlife including bighorn sheep overhead on the nearby cliffs. They also have an optional 50 foot high tower jump that you can add on to your ziplining adventure, as well as photos available for purchase. July 2016 will see the introduction of a 100 foot high drop-swing which is sure to get the screams going and adrenaline pumping! It was installed when we were at their location in Chase, but was not operating yet, so we will have to return soon. Hopefully they will consider bringing all this to the resort for Sun Peaks ziplining adventures soon! 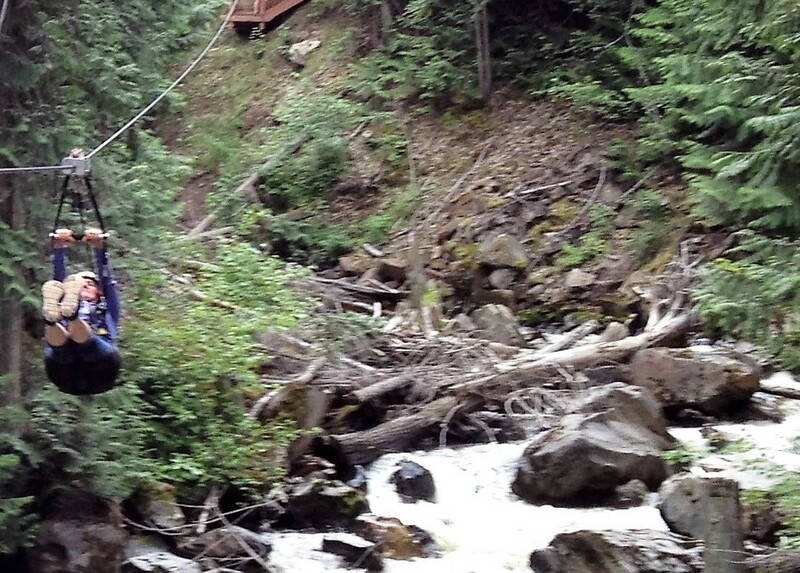 Click for different travel directions from Sun Peaks for Ziplining tours in Chase. As you can see from this map, there are several travel options. We chose a circle tour, which included the backcountry logging road route (open in summer only) past Morissey and McGillivray Lakes, and through all the burned out area from the 114-square kilometre McGillivray fire back in August of 2003. Thankfully there has been a lot of growth since the fire which makes the tour quite scenic. Keep an eye out for the very rare "Shoe Tree" on the way there! The Canyon Tour includes a practice zipline back by their base, followed by a short canyon crossing and then a longer crossing over several falls. They are a ton of fun and are enjoyable by all ages over 6 years of age and 60 pounds (and less than 275 pounds). The tour includes transportation to/from the zipline area and the guides are very friendly, safety conscious and knowledgeable about the area - they did a great job! 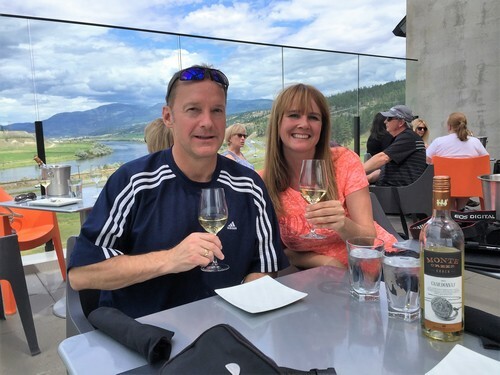 We chose to take the #1 Highway back to Sun Peaks Resort with a stop at the beautiful Monte Creek Ranch and Winery along the Kamloops Wine Trail. This is a beautiful new winery with great valley views, a little local history, very nice wines and other home-grown products like honey and beef jerky from their ranch, and a beautiful patio with lunch service available. It made for a fantastic daytrip from Sun Peaks. 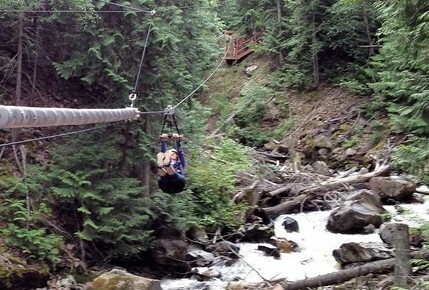 Click for more information about Treetop Flyers Chase/Sun Peaks Ziplining Tours.